Children can suffer medical injuries, especially during birth. Some common health problems involve misdiagnosis, the wrong referral, harmful medication, and ineffective treatment. To understand if your child's medical injury could constitute malpractice, speak with an experienced lawyer about the nature of your incident. 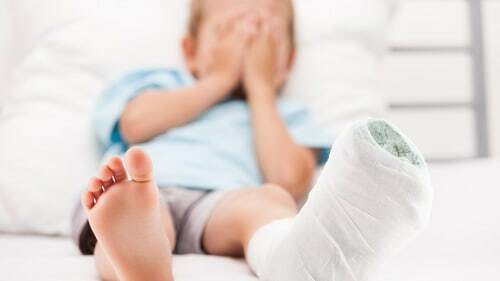 How do Doctors Injure Children? Many people cannot fathom how their children get hurt while in the care of physicians, nurses, the hospital, medical center and other healthcare providers. A hospital or doctor's office should be a place where they are most protected from injury. So when we meet parents with children who have been the victim of medical malpractice, we discuss many common problems in the healthcare industry. First, doctors might have a limited range in diagnosing and finding the problem. You should question physicians when they are reviewing children so that they don't miss anything. Second, ask what other kinds of doctors your child needs to see and why they are referring the patient to other professionals. Their answers will provide more insight into the scope and nature of your child's problem according to the doctor's opinion. Third, research for yourself or ask for another opinion if the care initially rendered was appropriate and sufficient in the first place. Fourth, examine the discharge papers and other instructions given to see if they are complete and correct. Fourth, look at the devices and medications prescribed by your child's doctor. These might be improper regarding their dosage or even usage generally. These are the dimensions where we usually see kids get hurt by medical professionals and they are where you should look to keep your kid safe! If you determine your child was harmed while under the care of a medical professional like a doctor or nurse, it might still be difficult to prove legal liability. First, you must demonstrate a local, contemporary standard of care using expert testimony. Illinois law also requires an affidavit from a physician that the case has merit before filing the lawsuit. Then, you must establish how the defendant's care to the plaintiff did not meet that standard. Finally, you must highlight how this failure, and only this failure, caused the plaintiff's injuries. This task is not for beginners: multiple doctors can confuse who was at fault; deteriorating patient conditions can muddy the case even if the doctor created the problem; facts can question if the issue existed when the plaintiff presented to the defendant. Because of this, it is essential to hire qualified counsel to handle a medical malpractice case and why your children need superb representation as soon as possible. Don't Hesitate. Give us a Call And We Can Figure It Out! Medical malpractice is a messy problem. It involves extraordinarily hard questions of fact and science, compounded by several legal considerations. Even simple cases of medical misconduct can become quite difficult to prove in court. When the facts are harder, as they often are with children, that task can be unbelievably trying for even the best of lawyers. Therefore, it is always better to begin a conversation with an attorney as soon as possible after you learn that your child was harmed while under the care of a medical professional. Our team has a capable and experienced group of professionals that have handled many cases of child medical malpractice injuries. We know the difference between winning and losing cases and what it takes to make sure yours is one of the former. Call us by phone at (888) 424-5757 to hear about what we can do for your child.